Seafood! Oh glorious Seafood...No table manners needed here, seriously. I think I must have looked funny as I watched, incredulously, as the staff poured out our orange coloured dinner on to the plain white paper sheet lining our table. Oh, our dinner came out from a transparent plastic bag by the way, and no, it was not even served on a plate...With no cutleries in sight and the waiter did not seem to bother asking if we needed any, we instinctively started digging in anyway, using the most primitive and versatile eating utensil that ever existed: our fingers. Look at that thick white meat inside! 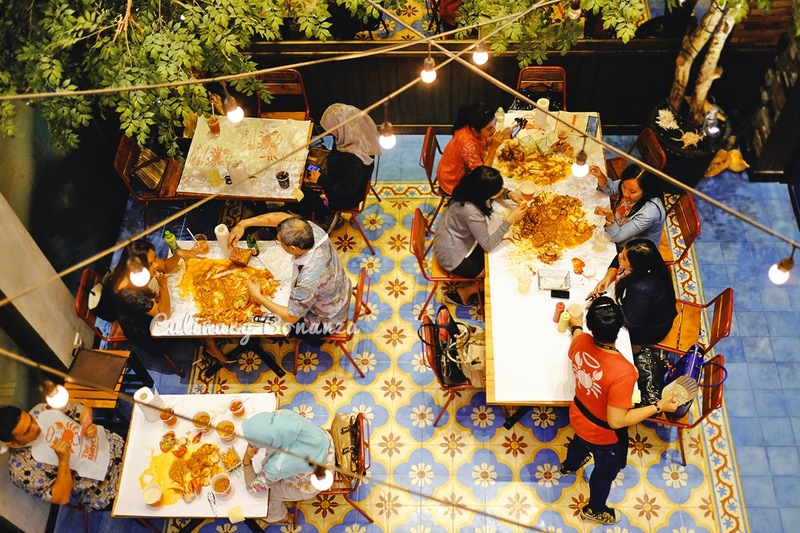 The place I'm talking about is The Holy Crab, the first place in Jakarta that introduced us to the way Americans eat their seafood, the Southern (Louisiana) style that is. 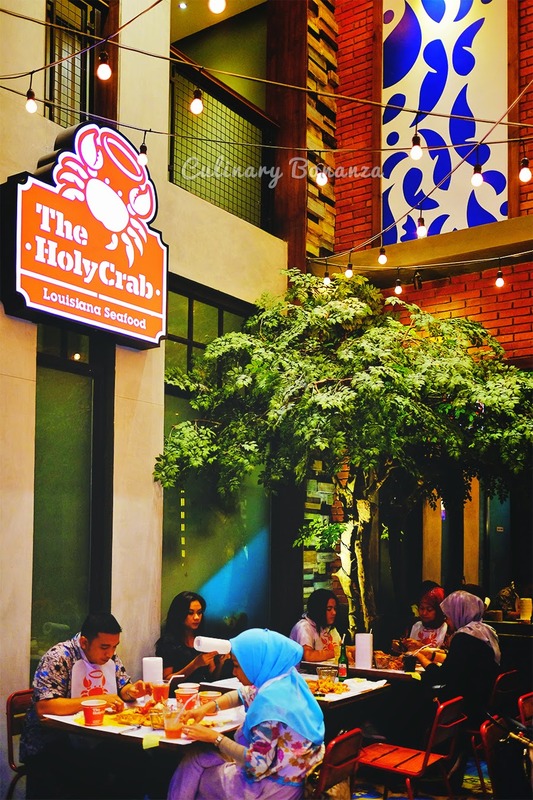 The Holy Crab is located in Jakarta's currently thriving hotspot for food and entertainment, Senopati. The area is strategically tucked in the midst of residential area for the affluent and the Central Business District. The restaurant interior is decorated with nautical theme, with orange and blue hues inspired by the logo. Being in Senopati, parking can be tough, especially during peak hours. If you are starving, don't be stubborn, opt for the valet parking service and save yourself the trouble of looking for a spot along the perpetually busy street. Traditionally, Asians or Indonesians in particular, enjoy their seafood grilled until blackened and then enjoyed with sambal or sweet soya sauce. 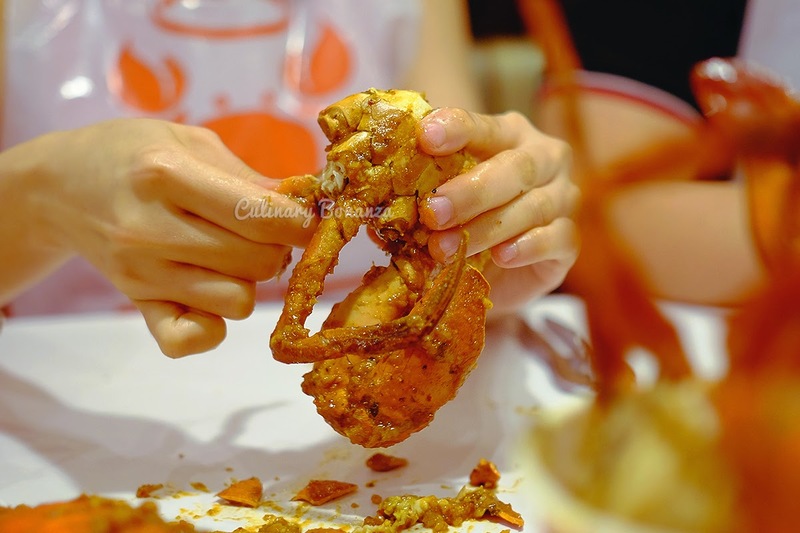 But at The Holy Crab, we are supposed to choose either the Spicy Cajun Sauce or Pepper Garlic Sauce, to go with the fresh local or imported shelled seafood. How about some sweet corn and beer on the side? 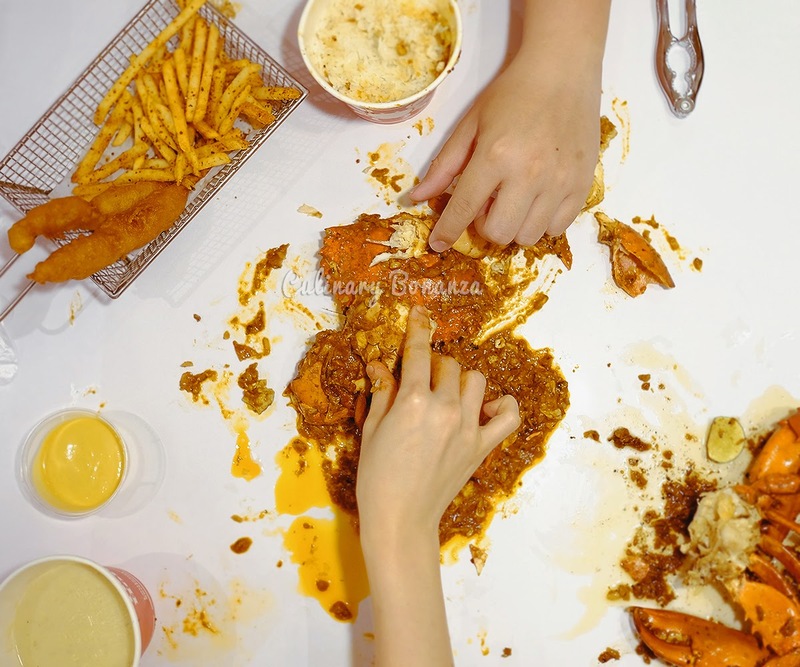 At The Holy Crab, as the name already suggests, the main menu is mostly crab and its close shelled relatives (clams). 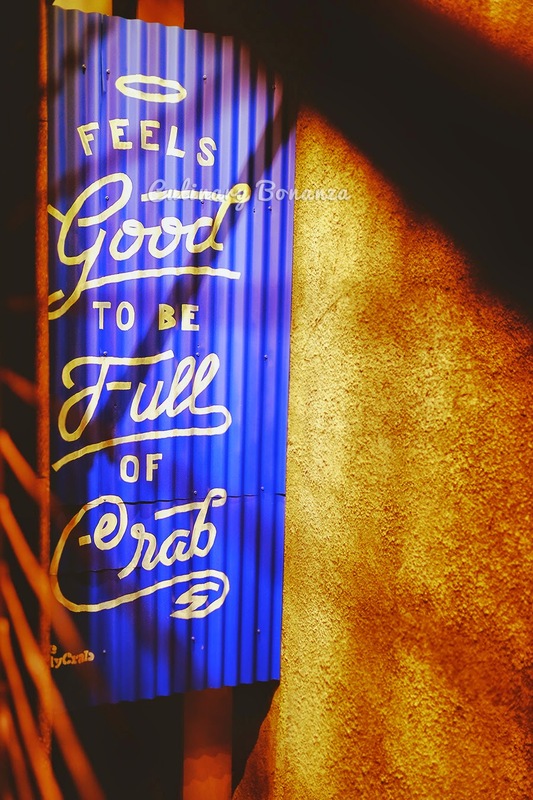 Crabs that are sourced locally and imported, such as the Dungeness Crab from USA, or the King Crab and Snow Crab from Alaska, Canadian lobster, or Indonesian crawfish (clearwater lobster), mud crab and shrimp. If it ain't got shell, it ain't here folks! 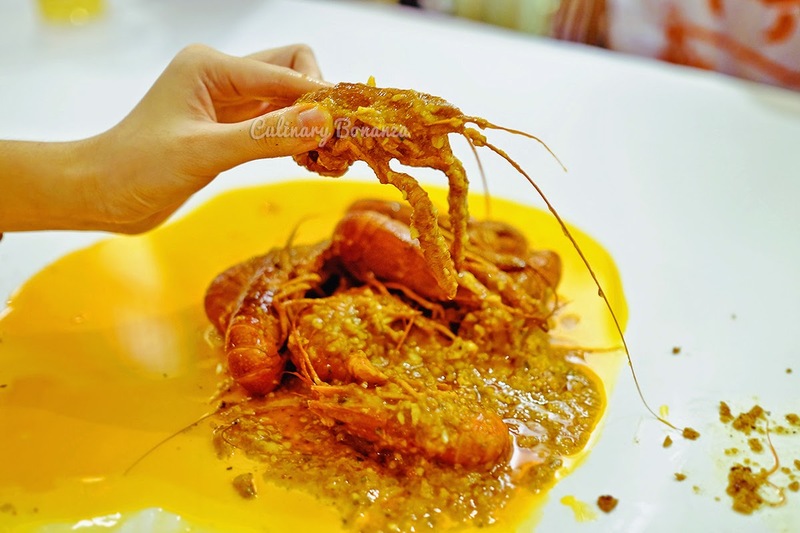 Get down and real dirty when eating here, deshell the crabs yourselves, scrape the juicy flesh out and smear it generously with the signature lip smacking, greasy yet addictive Spicy Cajun sauce (with varying degree of spiciness: Mild to Holy Moly). 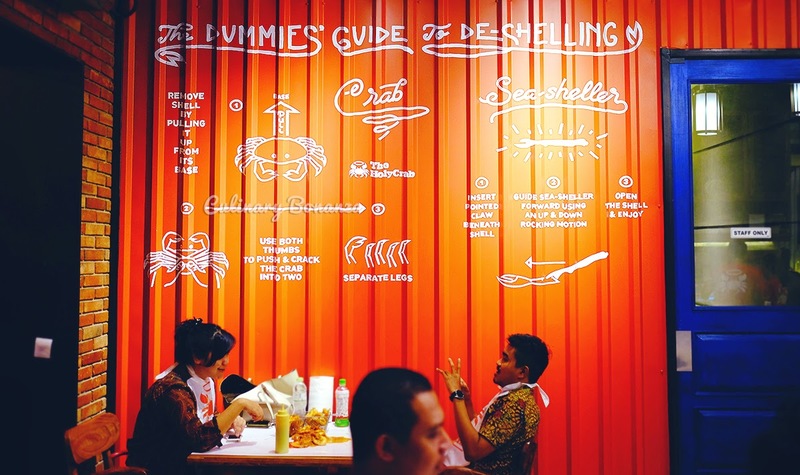 Basically, the seafood served here is fresh and of course premium quality: fat fleshy crabs, prawns and crawfish. But I ended up not eating as much as my friends did, guess I'm too lazy to deshell them LOL! But I must admit that I quite enjoyed my experience here, although I don't eat much of the seafood, but the Clam Chowder soup and the Fish and Chips are quite addictive! 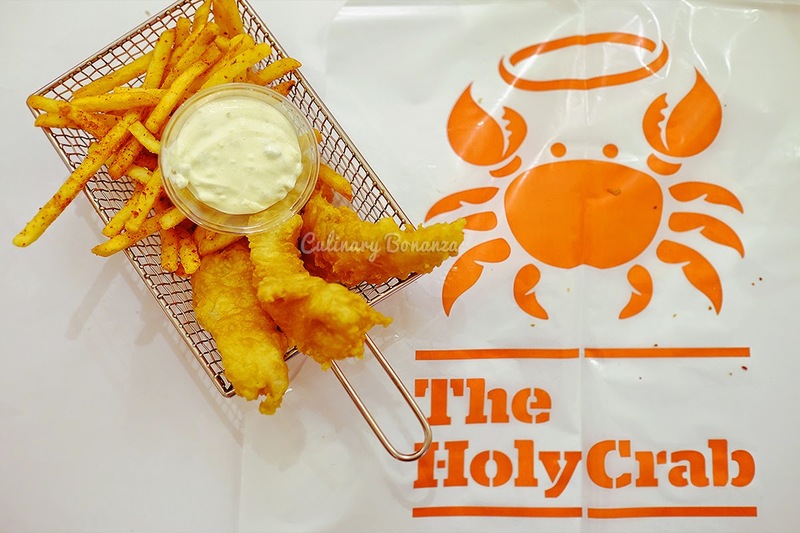 Unless you can easily fly to Louisiana, USA for a bucket of freshly steamed seafood, The Holy Crab is possibly the best deal in town for Southern style American seafood. 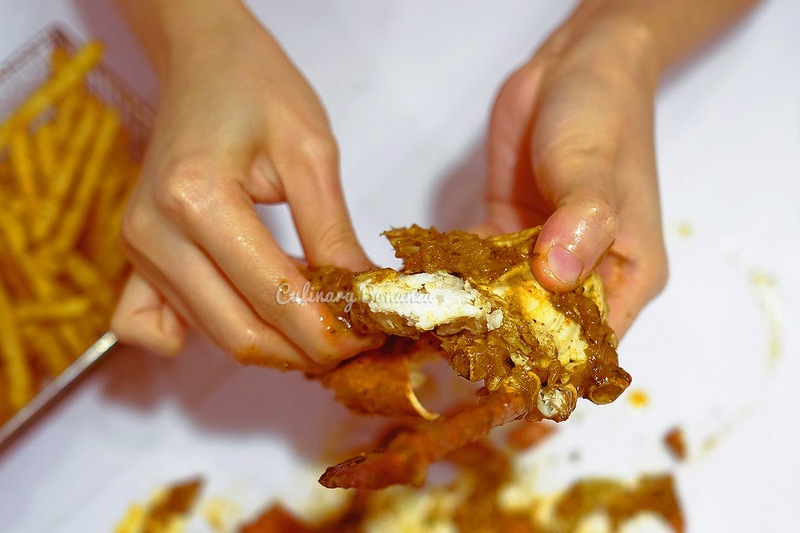 Hand me that tong please, I need to deshell my crab!